Yahoo! Fire Eagle, kind of "GeoClue for the Web" was released last week. It acts as a central hub collection position information from services like Plazes and Dopplr, and with a simple PHP script, Jaiku. 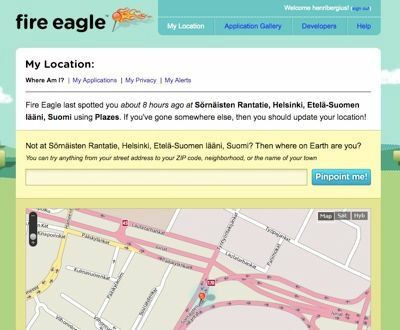 Services needing user's location can then ask it from Fire Eagle instead of having to support all the services separately. Midgard's positioning framework has been Fire Eagle compatible since March this year. Now that the service is open for a wider audience, I though it would be useful to tell how to activate it with your Midgard-powered site. and follow the authorization instructions. This is due to Fire Eagle using the nice OAuth protocol. Once this is done MidCOM cron will start tracking your Fire Eagle location. 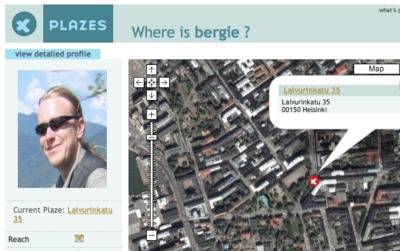 All objects you have created (photos, blogs, comments, etc) will then be automatically tagged with where you made them.